If you have been looking for a beachfront home with everything a family would want at the best seaside location that Townsville has to offer your search is finally over. Enjoy uninterrupted views to Magnetic Island, across Cleveland Bay to Castle Hill and the Townsville Port from this stunning residence. Upstairs there are 4 generous sized bedrooms, all airconditioned and builtin whilst main has its own ensuite. 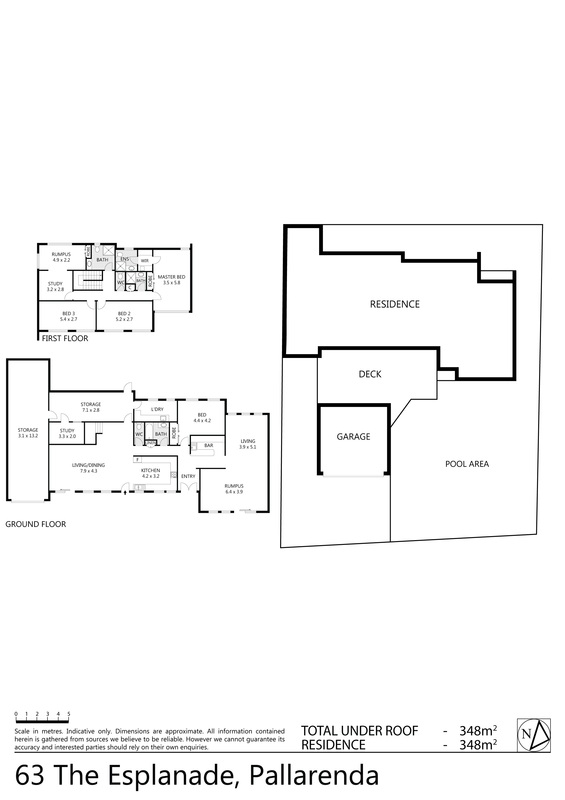 The other 3 bedrooms are central to the main bathroom. Three of the upstairs bedrooms are at the front and have magic ocean views. Downstairs you will find the 5th bedroom and 3rd bathroom plus there is no shortage of living space served from a fully functional Tassie Oak Kitchen, large open plan dining and lounge opens out to the massive outdoor entertaining There is also a seperate lounge, pool room, builtin bar, office/study, storeroom and internal laundry on the ground floor. Both levels are joined by internal stairs. You will spend a lot of your time on the front cool deck relaxing and entertaining and enjoying a dip in the beautiful inground pool. There is undercover garage with parking for two cars plus more off street parking where you can park the boat, caravan or motorhome. At the side of the home there is a lock up workshop over that is over 13metres long that will easily accommodate 2 family size sedans. The low maintenance yard is landscaped and irrigated by its own bore. If its location you are looking for you cant go past this property as you can move straight in and enjoy the holiday lifestyle everyday. Located only a short stroll to the beach, boat ramp, stinger swimming enclosure, off leash dog beach & bike riding track, a very short drive to quality schools, the CBD, Airport & all amenities. Pallarenda is famous for its relaxed lifestyle where you and your family will feel like you are on holidays all year round..